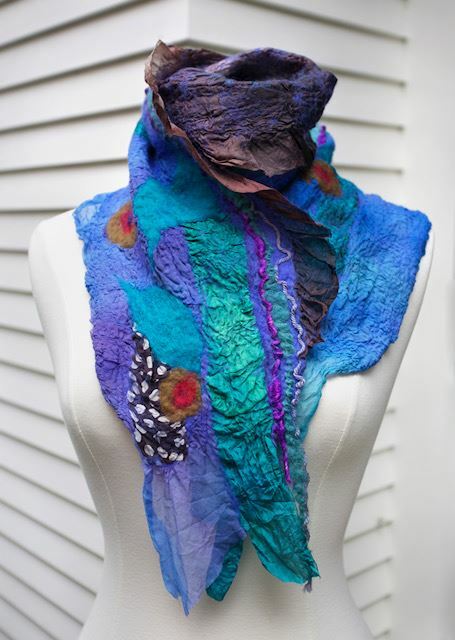 Create stunning wearable art in a single day by collaging bits of silk and Merino wool fleece into a new piece of fabric. This Nuno Felted project is accomplished with no sewing, knitting or stitching of any kind. 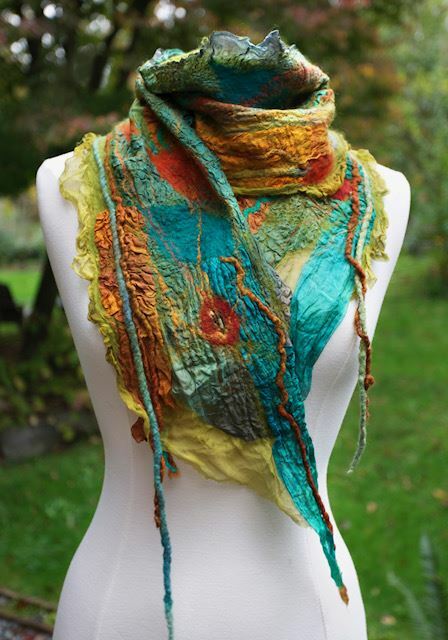 Play with exciting color combinations to create a scarf that is as much fun to wear as it is to make! Beverly Ash Gilbert, color specialist and felt artist will be our Instructor. Workshop supplies (silk, Merino, embellishments) will be purchased the day of the class or the participant can purchase own supplies.